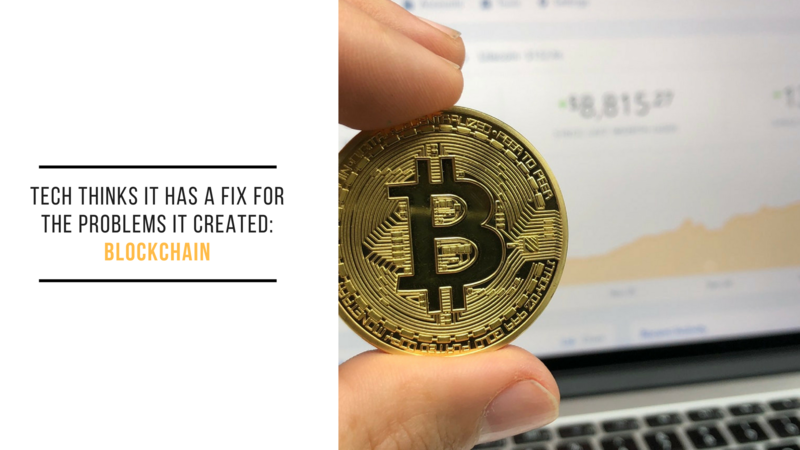 The first blockchain was created in 2009 as a new kind of database for the virtual currency bitcoin. Now, innovators are looking to use similar databases to solve some of the most intractable issues facing society. SAN FRANCISCO — Worried about someone hacking the next election? Bothered by the way Facebook and Equifax coughed up your personal information? “People feel the need to move away from something like Facebook and toward something that allows them to have ownership of their own data,” said Ryan Shea, a co-founder of Blockstack, a New York company working with blockchain technology. The creator of the World Wide Web, Tim Berners-Lee, has said the blockchain could help reduce the big internet companies’ influence and return the web to his original vision. But he has also warned that it could come with some of the same problems as the web. Investors, for one, see potential. While the price of bitcoin and other virtual currencies has plummeted this year, investment in other blockchain projects has remained strong. In the first three months of 2018, venture capitalists put half a billion dollars into 75 blockchain projects, more than double what they raised in the last quarter of 2017, according to data from Pitchbook. Tusk, founder of Tusk Strategies, is an investor in some large virtual-currency companies. He has also supported efforts aimed at getting governments to move voting online to blockchain-based systems. Tusk argues that blockchains could make reliable online voting possible because the votes could be recorded in a tamper-proof way. Blockchains assemble data into blocks that are chained together using complicated math. Since each block is built off the last one and includes information like time stamps, any attempt to go back and alter existing data would be highly complicated. In the original bitcoin blockchain, the data in the blocks is information about bitcoin wallets and transactions. The blocks of data in the bitcoin blockchain — and most of its imitators — are kept by a peer-to-peer computer network. The novel structure allows people to set up online accounts that can securely hold valuable personal information without having to trust a single entity that can hoard, abuse or lose control of the data, as happened with Facebook and the consumer-credit reporting agency Equifax. A range of corporations and governments are trying to apply the blockchain model — for projects from the prosaic to the radical. Various departments of the United Nations now have blockchain experiments looking to tackle climate change, the delivery of humanitarian aid and the identity challenges faced by stateless people. Coca-Cola and the State Department recently announced a project to register foreign employees on a blockchain in an attempt to eliminate forced labor. Most of the biggest internet companies make their money from collecting personal information and using it to sell targeted advertisements. This kind of massive data collection makes them vulnerable to hackers and outsiders who want to leverage the data — as was evident when Cambridge Analytica improperly gained access to millions of Facebook profiles. And startups are using the blockchain in an attempt to pry control of all that data out of their hands. But Berners-Lee has warned that the development of the blockchain could come with unintended consequences, like more activity from criminals operating outside the oversight of governments.